It plans to open 100 new hotels creating 3,000 jobs by 2023, and says it hopes to attract parents by offering flexible hours and school hour roles. The firm, which in 2012 was on the brink of administration, reported strong sales and profits for last year. 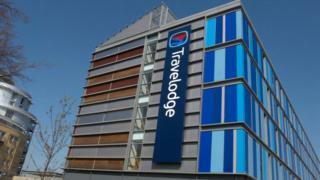 Travelodge said sales rose 8.8% to £693.3m in 2018. Staff from the EU make up nearly a quarter of all jobs in the hospitality sector. But there are concerns that proposed regulations could dictate what type of workers are allowed to come to the UK after Brexit. The government is consulting on a minimum salary requirement of £30,000 for foreign workers seeking five-year visas. Chief executive Peter Gowers said he remained cautious on the short-term outlook for the firm, with trading for the first eight weeks of the year "mixed". He said strong growth in London was being offset by declining sales in the rest of the UK. "These are uncertain times and we are not immune from the short-term challenges, but beyond, we remain confident that there are more opportunities ahead," he said. The chain went through a painful restructuring in 2012, with two US hedge funds and Goldman Sachs taking control of the company. The investors agreed to take on the firm's debt mountain in exchange for controlling stakes in the firm. Since then, sales have risen over £250m and earnings more than trebled. Mr Gowers said innovations such as the chain's more upmarket "super rooms" - which come equipped with coffee machines and high-end showers - had helped boost customer numbers. "We've invested in better quality and choice for our guests, while staying true to our budget roots," he said.